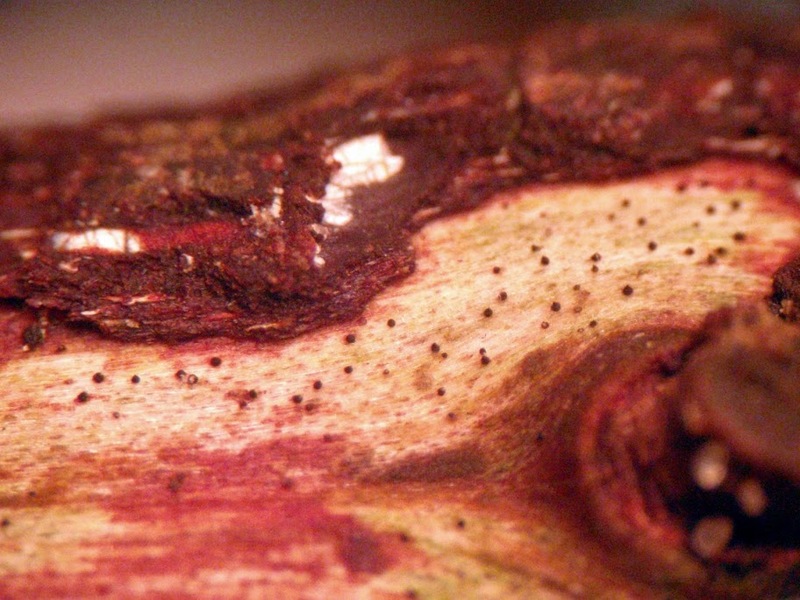 Trichosphaerella decipiens on Ulmus, from Mycologues Associes. The Niessliaceae are a family of fungi that are saprobic on leaves or wood. Characters (from Cannon & Kirk 2007): Ascomata perithecial, superficial on or rarely immersed in a subiculum or crustose stroma, small, ± globose, sometimes collapsing when dry, pale to dark brown, often setose or ornamented, the ostiole periphysate; peridium thin, soft. Interasca1 tissue of apical paraphyses. Asci ± clavate, thin-walled, not fissitunicate, with a small refractive J- apical ring. Ascospores ± hyaline, 0- or 1-septate, sometimes fragmenting. Anamorphs hyphomycetous, Acremonium-like.